Many of my friends are the type of cyclists that find themselves using the bike on and off throughout the year, whenever the weather is bad they will use that as an excuse not to ride it. Similarly, whenever it is too hot outside they will say that they don’t want to be severely perspiring on the way through the door to work either. These are, in a sense, all fairly valid points but I think that there are definitely ways to prevent them from occurring. 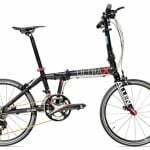 Regardless of that fact, these issues have in recent years been completely circumvented by the introduction of more and more sophisticated folding electric bikes. The best folding electric bikes only cost a small amount of money and in actual fact sometimes less than the equivalent standard road or mountain bike. Not only that, but folding electric bikes are also fairly small and compact too and so they can be stored away while at the office too. 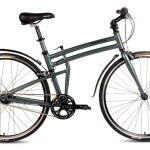 All in all they are the perfect hybrid style bike for commuters in an urban or suburban city. Below is a list of all of the best folding electric bikes around today. 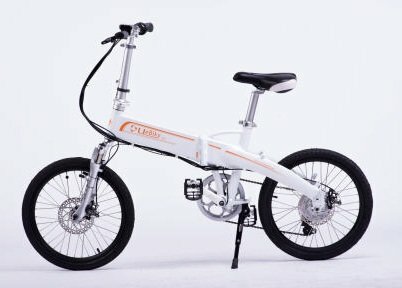 Anybody that has been around in the folding electric bike scene for more than a week will be well aware of ProdecoTech as one of the more premium brands. They are without a doubt the most well known brand out there and it’s actually becoming fairly common to see them out and about on the streets. Throughout the past four or five years these electric bikes are cropping up absolutely everywhere, and for good reason too. In my eyes, after testing out a few of their more expensive models, I believe that they make the highest quality models around. My favorite of which is the Mariner 500 v5, a stunning bike that is fitted with a large 500W motor that runs off of 48V. 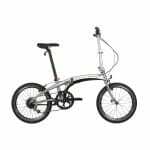 The bike is comprised of two extremely durable and sturdy Suntour Swing Shock forks, a particularly durable aluminum frame. The remainder of the components only contribute slightly towards the final weight of the bike, which is only around 48lbs. 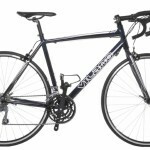 These components are all extremely high quality and function exceptionally well too, we had no issues with the braking mechanism, the rear rack held all of our gear with ease. One thing that I did notice in the past with this bike was that the previous version (4) had issues with battery life. However, this was the first thing that I was keen on testing on the new version’s release and I can happily say that all of these issues have been completely rectified. The new bike by ProdecoTech has also had some additional upgrades to a few of its components too, the new rack is slightly larger, the battery is now produced by Samsung and so you will know that right out of the box it is reliable. This model is now more than capable of travelling for up to 40 miles without a charge and so those of you who anticipate long commutes on a regular basis will be more than happy I am sure. Obviously the pedals function as required and we saw no issues there whatsoever. When I first saw Enzo eBikes folding electric bike I was slightly taken aback. It looks somewhat resemblant of the first bike I ever rode as a child. Apparently I still feel that these aesthetics look pretty cool today, I love the retro style and rectangular frame too. However, looks are definitely not everything when it comes to purchasing a new bike and so I know that you will all be pleased to hear that this folding electric bike has so much more to offer. The bike is crafted out of a solid aluminum alloy based frame that is extremely sturdy, it is a lovely ride, even over bumpy terrain. The bike itself only weighs around 48lbs and so despite having no suspension based forks it is easily transportable. It runs off a 350W Samsung battery that uses 36V and 9A. 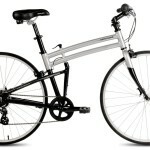 Due to the large capacity of the battery this lovely bike can travel for up to 55 miles before running out of charge. 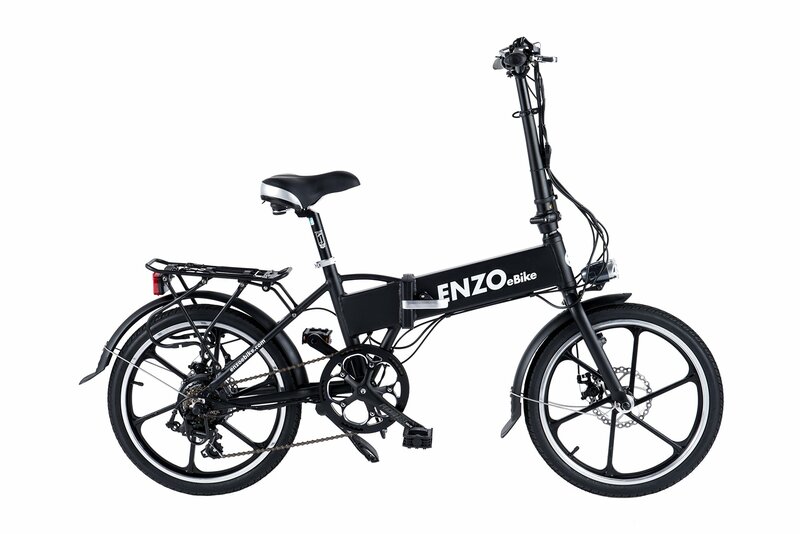 I love thee fact that the Enzo folding electric bike comes with high quality components such as a 160mm hydraulic braking mechanism and a premium Shimano gear shifting mechanism too. Some additional features that this electric bike boasts is a seat post pup and the fact that you can choose a variety of different colors when you purchase it too. This is a brand that many of you will be well aware of as they have been selling so many bikes over the past few years. In actual fact, if you haven’t seen one of these around and you live in a fairly populous city then I would be extremely surprised. This is undoubtedly one of the most popular models around and is also one of the best folding electric bikes in my eyes too. e-JOE have put a 350W motor inside this minimally styled bicycle, it is more than capable of riding up to 35 miles on a full charge. You may even be able to stretch this out a little further if you’re travelling across fairly flat ground. The Sport Edition SE comes with a 7 speed Shimano drive-train and a highly refined front suspension set too. Together with the gorgeous front and rear disc brakes, premium shifting mechanism and braking mechanism, it’s hard to see why this bike isn’t number one. If it wasn’t for the fact that it is quite pricey and bulky too then it probably would be in my eyes. This stunning model is capable of reaching a top speed of over 20mph and its braking mechanism can stop you fairly rapidly too. 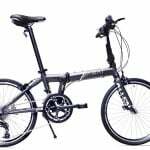 Much alike the other brands on this list of the best folding electric bikes, you are able to purchase the e-JOE Epik Sport Edition SE in a variety of different colors. Currently these are White, Black or Blue but the brand has promised more to come in the near future. When we attempted to fold this bike away, we were pleasantly surprised with how quick we could – under 20 seconds, which is very impressive for a heavy electric bike. When I was pondering which bikes to include in my top 5 list I realized that I had to include a truly low budget model here. Obviously some of the bikes here are certainly too expensive to be considered entry level or budget examples, however the Uebiky electric bike is incredibly cheap for what you get. The bike is powered by a 36V 9A battery, while this battery isn’t produced by a reputable provider, it definitely performs well on the road. We managed to travel for over 25 miles on the assisted mode and given the fact that this bike weighs over 42lbs it was extremely impressive. 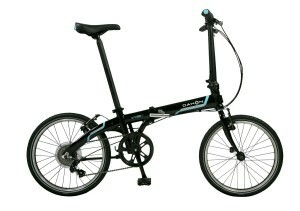 I honestly believe that for the money this is the best folding electric bike around. This bike is definitely the most easily transportable bike on my list, it has tiny wheels, weighs very little and is a great bike on the road too. 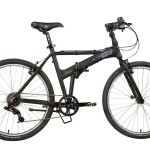 This model is well suited to those of us who would like to take our electric bike in and out of work. The 12 inch wheels hand itself perfectly to this scenario in particular, in comparison to the rather large and bulky 20 inch wheels that we are all used to seeing. You can travel around 30 miles on this bike with relative ease and whenever it does run out of charge it is more than capable of maintaining a high speed on the roads despite its small tires. I think that out of all of the bikes on this list, this is the model that surprised me the most.